Oh no. Please, tell me this isn't too serious. We have bad news to announce, Bruins fans. 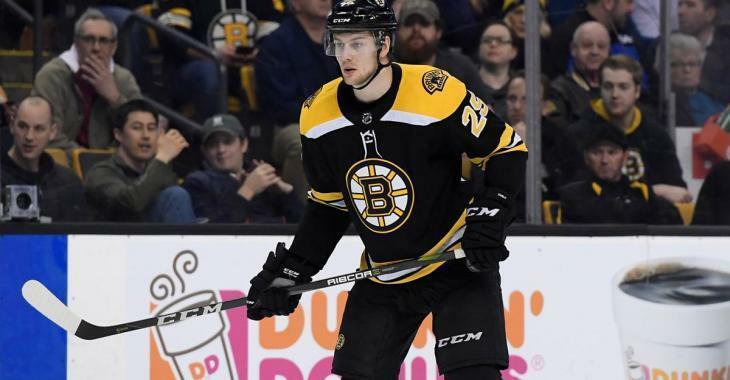 21-year-old blueliner Brandon Carlo has been stretchered off the ice this afternoon, in the third period of the game opposing the Boston Bruins and the Florida Panthers. "Per Bruce Cassidy, Riley Nash received stitches in his ear after taking a puck to the head in the second period. No update on Brandon Carlo, who left on a stretcher in the third. "Tough luck for Nasher and Carlo. Not what you want right now."" Carlo was selected in the second-round of the 2015 NHL draft. The 6 foot 5, 203 pound defenseman amassed six assists in 75 games this season. The Bruins snagged a 5-1 win today against the Panthers, who desperately needed the two points today. David Krejci and Jake DeBrusk both recorded three points. The Colorado Avalanche has announced devastating news to its fans. The team has confirmed through its official Twitter account that its star goaltender Semyon Varlamov will be out for the remainder of the season because of a lower-body injury. The former Vezina trophy finalist compiled 24 wins, 16 losses and 6 overtime losses this season, a goals-against average of 2.68 and a save percentage of .920. But sadly for Avs' fans, this isn't all. We could also read in this tweet that 30-year-old defenseman Erik Johnson will be out of the lineup for the next six weeks, as he suffered a fractured patella. He suited up in 62 games this season, in which he recorded nine goals and 16 assists for 25 points. He also recorded 58 penalty minutes, and a +/- differential of +3. Let's just say this is pretty bad news for the Avalanche, who's tied with the St. Louis Blues in points for the final wild card spot in the Western Conference. However, they have played one more game. This means Nathan MacKinnon and the team's other star players will have to step their game up if they want to make it to the playoffs. Top goaltender out for the remainder of the season. Another shocking trade coming out of St. Louis during the summer? Phil Kessel gets brutally insulted on the ice!